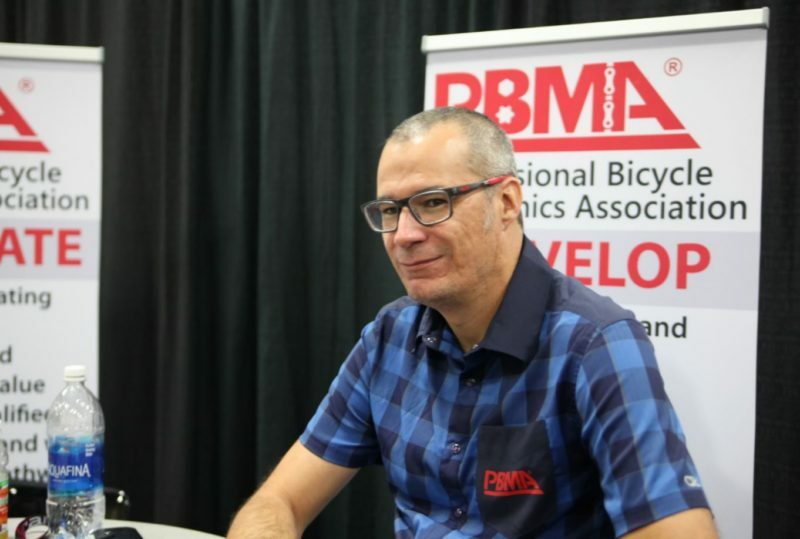 18 months on from CyclingIndustry.News first interviewing a newly-formed mechanic’s collective we thought it worth checking back in with the PBMA, an organisation that has not only grown domestically, but appears to have eyes for a globally recognised standard for the bike industry. When you started the PBMA, what was the ambition and how does it compare to where we are today? It seems that we are a world apart from where we started, even though it was only last March when we really put the idea into motion. We are now nearly 1,000 members strong with a reach globally to about 30,000 to 40,000 people via our Mechanics Minute Newsletter, or social media platforms like Facebook and Instagram. It seems as though the mission statement in the beginning was to raise the profile of mechanics and their skillsets in the business. Was this the ambition and is your hope that working conditions/pay etc will improve as recognition is earned? 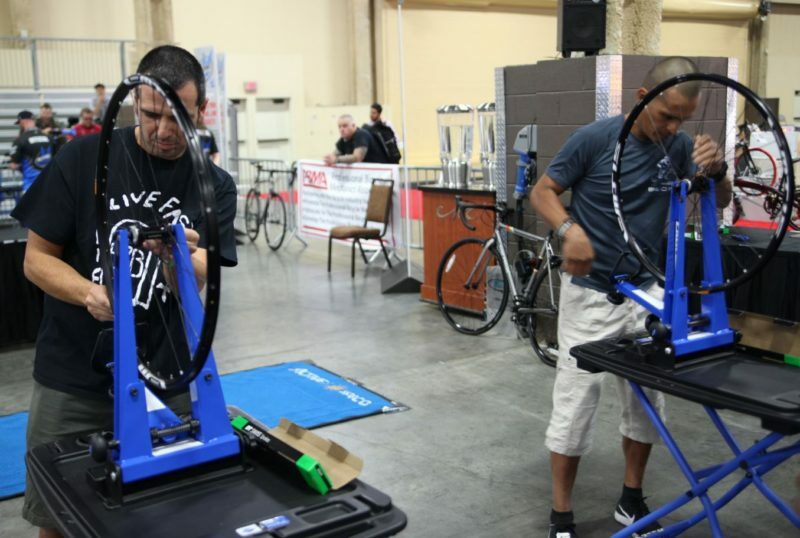 Our mission to promote, advocate and develop for the professional bicycle mechanic hasn’t changed or wavered. A simple idea of success is this: before we began it was rare to associate the word ‘professional’ to a bicycle mechanic. Now it is almost common place in classified adverts or descriptions of the mechanic. That alone is a telling tale of success in a simple word. Long-term, work conditions and pay come into relevance, but so to do expectations of the mechanics themselves. We can’t be sloppy people. As the shift from retail to service becomes more important, so too does the attitude the mechanic presents. Those are all easily pieces of our long-term goals to ensure a successful place for mechanics in the future of the cycling industry. 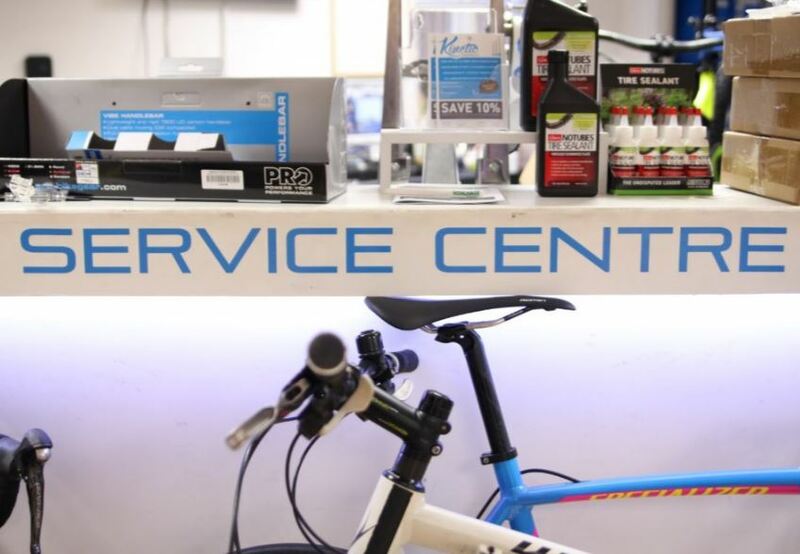 Who runs the PBMA day to day – is it still bike shop owners/mechanics? The day-to-day operation of the PBMA is its board of directors. Nine of us from varied backgrounds within the industry get things done. Personally, I manage most of the tasks, but it wouldn’t be possible without a supportive group of people behind us like our members and volunteers. We are now looking to build committees with focused goals such as diversity in the industry, education and so on. You’ve linked with a significant portion of the North American training houses. Talk to us about those partnerships and what each is delivering on the PBMA’s behalf? Education and training are simple things to understand from a consumer perspective. 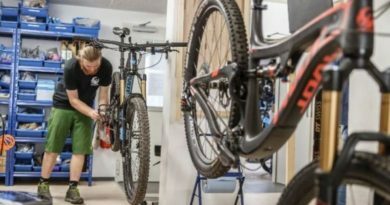 As an industry most of us understand what it takes to be a premier, professional bicycle mechanic; the time, dedication and attention to really be best in class. 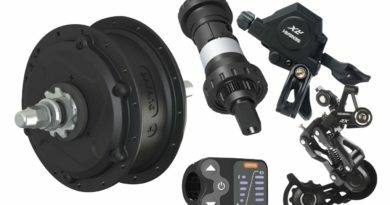 A consumer, at least most consumers in the North American marketplace, see bicycles as toys, largely because they are sold in toy stores and in some big box stores adjacent to the toy isle. Can we affect those placement decisions? No, but we can show a consumer that mechanics have an education and certification, we can show them what it took for this person to achieve these credentials and we can very easily show someone the difference between a professionally assembled bicycle vs one that is not. We are indeed partnered with the majority of NA bicycle education facilities, they are the cornerstone of development (in the past and looking at the future). And outside of the U.S. – which training schools are you working with? We have partnered and are working with TechnoCycle and Winterborne in Canada, VeloTech in the U.K. and we’ve many conversations ongoing with others to align an industry vision. They may need to have specific tweaks for what’s happening in their region, but the basic criteria to be a mechanic at any recognized level can be very well aligned, so mechanics who wish to work in a different place or country can show an employer and their employer will understand this person adds value to their organisation. This will be a huge benefit for those who chase a season, going from NA or Europe to Australia or NZ for their peaks. The PBMA no longer seems confined to North America – what overseas ambitions have you? When we formed the PBMA we didn’t include a definer such as American or United States. 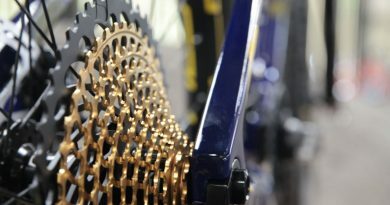 Mechanics are a global entity for the cycling business. If we can make strides in the U.S. and share what we have learned in other countries we should and will. We feel strongly that much of what we are doing can benefit many all around the world. We need local help on the ground in these places to identify their needs and how those needs fit without current and future plans. How many members in how many countries has the PBMA now? We are represented in about 10 countries now and floating around 1,000 members. For those unaware, tell us about your work on creating a certification standard and how far reaching do you hope this benchmark may spread? Our focus is to create a recognized industry standard and we’ve put in major groundwork with the education providers as mentioned above. We are able and willing to recognise any standard of certification and see how it aligns to the preliminary levels (1&2) that we have built and defined. What is the reach? Only time will tell. 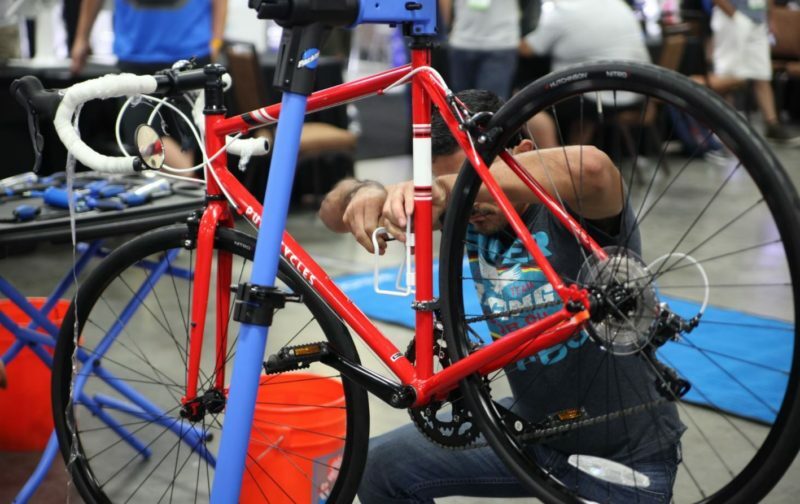 What training have you created for the industry, how and where can mechanics become involved? We just completed our first workshop in Denver. We had 70 attendees who attended 11 training sessions each. Each session was 90 minutes to three hours in duration. We squeezed that into two and three to four days. Everyone was provided with a certification clarifying 20 hours of continuing education. Seven of the sessions were tech focused the added elements were focused on building service profits and looking towards the future. With the large impact you’ve made in such a short space of time, have industry brands taken note and wanted to become involved? We have inquires on a pretty regular basis. The important part for us is ensuring there is value to the relationship, not only for the PBMA but also for the company looking to be involved. What are their needs and how can we help to achieve a positive result. We have three classes of membership; Individual, Shop and Corporate. All memberships include additional access to tools and resources within our website such as classifieds, a secure forum and discounts to our events. We’ve built a recognized mechanic and shop directory (version 2.0 coming soon), shops receive access to discounted employee membership and companies can provide promotional opportunities to our audience, plus logo and link association. Very often when searching for bicycle mechanic, or similar, the PBMA pops up in the first page results. What does that mean to a member, a shop or a company? It means when someone is looking for a mechanic they arrive at our site and our directory which is a powerful tool for the industry to start taking advantage of. 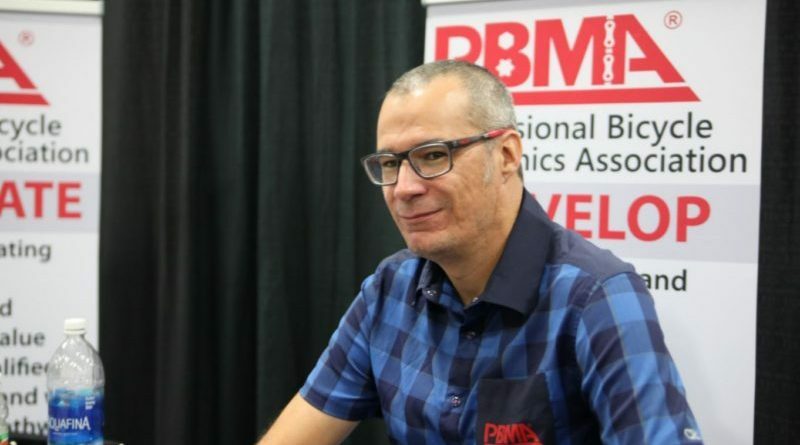 In the long run what would you like the PBMA to represent and offer the industry? We want to ensure the industry has a future and through that we know mechanics will have a future. Have a mechanic in your store that could use some recognition for their hard work? Nominate them for Mechanic Monday. ← How will Ofo help London “challenge Amsterdam’s cycling modal share” and will bike businesses benefit?